I woke up this morning and cried. To be honest, I really don’t know why. It was a deep, hearty and physical cry. My entire body felt the earthquake of it and my emotions blew over me like a hurricane. My body and soul must have needed to purge itself of toxins. Thoughts flood me with my past when cries like this come out of nowhere. I do my best not to get caught in the rushing waters of the rewind. A few remnants of my past sometimes wash ashore after a cleansing cry such as this. 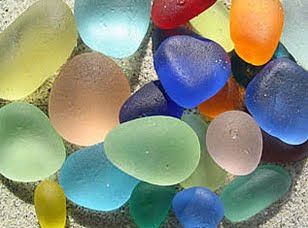 Today I am left with scattered and various pieces that look like smooth and shiny sea glass; but I know better. My first instinct is to continue and ignore them, and then I stop to think – there is a reason they are here, daring me to pick them up. I gather the pieces and place them in the middle of my bed. I sit like a child, staring at the jeweled colors in a small pile and pick up a shiny black one. As I hold it in my hand, I can feel the piercing stab of loneliness, bitterness and resentment. The sucking void of nothingness tries to pull me in. I close my eyes and hear my voice from days gone by, crying. This one reminds me of my dark night of the soul, and how far I’ve come. I open my hand and the shiny black stone disappears into a cloud of smoke. Curious about what just happened, I immediately pick up another, this time a glimmering red one. The images of my last relationship come into focus. I was happy, yet I knew deep down inside the one I was with wasn’t being truthful or faithful. I ignored that gut feeling and a little over a year later my feelings were justified. It’s a learning curve, this life. Again, the stone disappears. I think for a moment and wonder what would happen if I picked up more than one at a time. I am a daredevil after all, so I pick up two of the three left. It takes a moment for the images to flash in my mind, and then the rewind of the major turning points in my life begins. Sometimes the rewind flies by, but mostly it is playing in slow motion. I pay attention to these slow-moving parts and start to cry again. Oh how foolish I must have looked to others, making these huge and foolish mistakes. It reminded me of watching a movie that you’ve seen hundreds of times, yet you still hope that the characters will surprise you and do something different to change the course of the plot. It is then I realize that every single step I’ve made, including every foolish and irresponsible decision, has formed and shaped me into the strong and wise woman I am today. This time the stones turn into water and become washed away with my tears that now flood my face. Do I dare pick up the last one? The glittery silver one that calls to me… I pause for a moment, then carefully place it in my hand and squeeze tight. I rub it between my hands, hoping to activate some kind of magic. Still nothing happens. Why was I given this beautiful, shiny, glittery silver rock? There is no rewind here. It is the glittery possibilities of things to come. This was given to me to remind me that everything I want is within my reach; that I should always make sure to leave a trail of glitter wherever I go, sprinkling love, happiness and joy to everyone I meet. That which you put out into the universe always comes back to you. It is also a reminder that should I make a mistake, because it is inevitable, that even the bad times always have a silver lining of lessons learned. 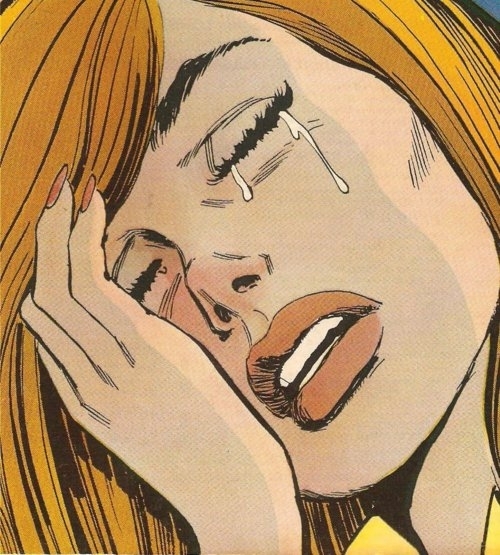 The tears start their descent again, mixed emotions of joy and sadness. Cry baby, cry, and take with you the lessons learned today.